Smoke billows as flames burn through the roof of the Notre-Dame de Paris Cathedral on Monday, in the French capital Paris. 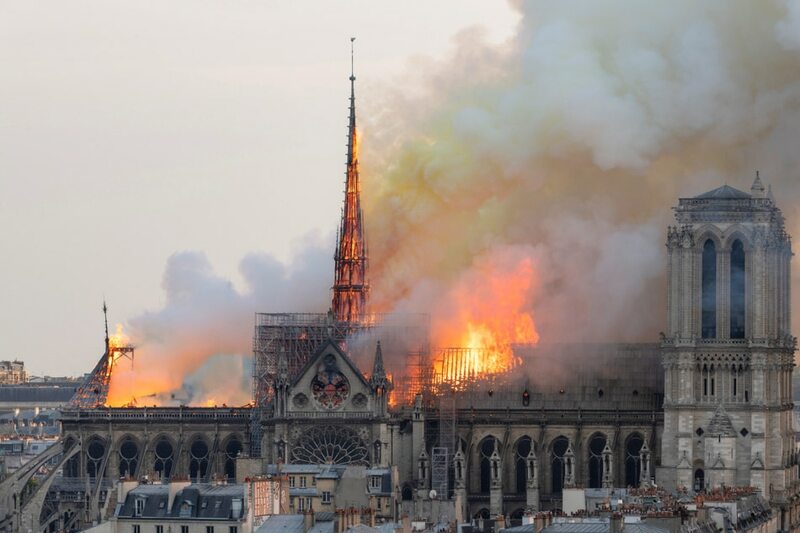 A huge fire swept through the roof of the famed Notre-Dame Cathedral in central Paris on Tuesday, sending flames and huge clouds of grey smoke billowing into the sky. A spokesman for the cathedral told AFP that the wooden structure supporting the roof was being gutted by the blaze.